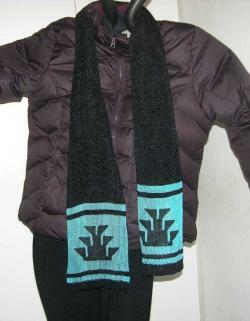 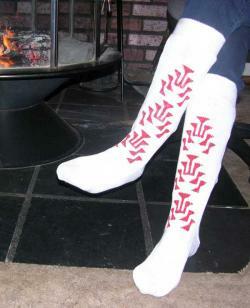 The Featured Native design on this receiving size blanket is Sports Tattoo. 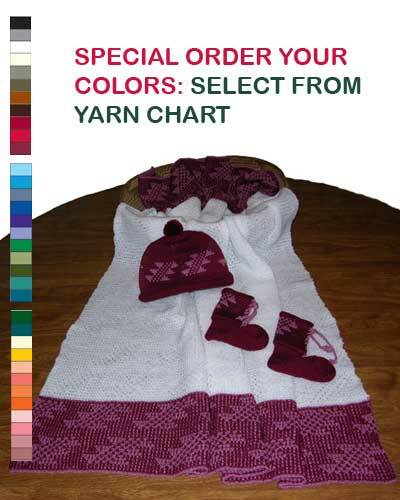 The blanket has a two color all over pattern. 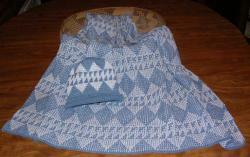 The Featured Native design on this receiving size blanket is Sturgeon. 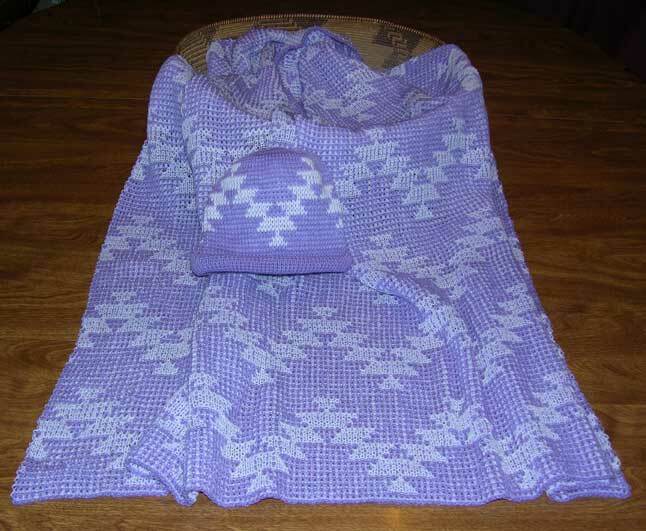 The blanket has a two color all over pattern. 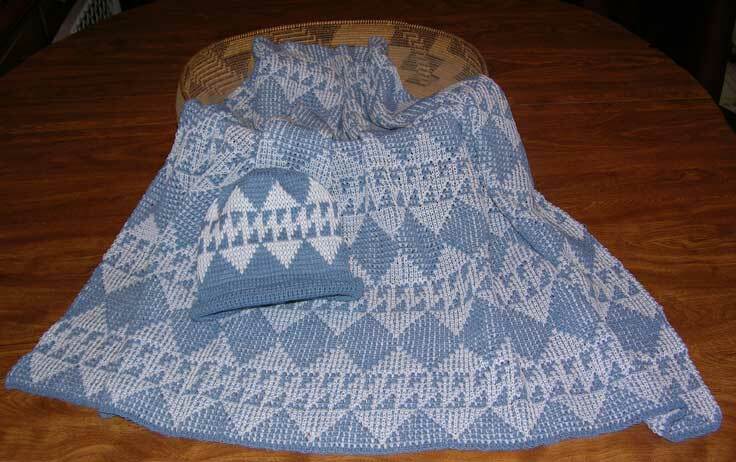 The Featured Native design on this receiving size blanket is Morning Star. The blanket has a two color all over pattern. 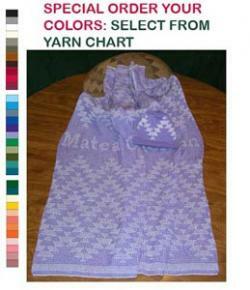 The Featured Native design on this receiving size blanket is Freindship. 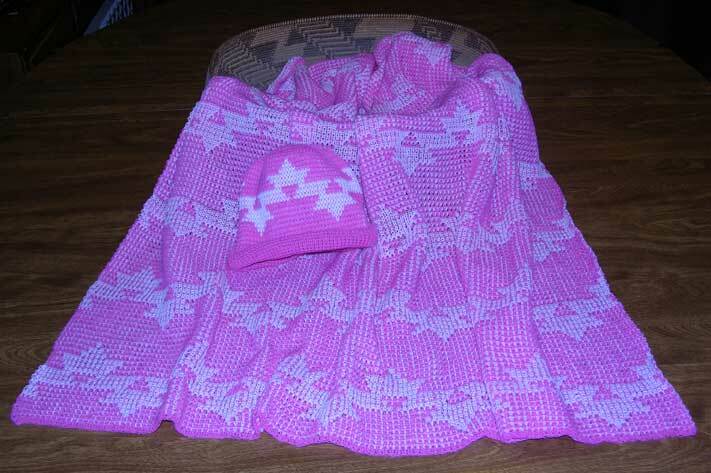 The blanket has a two color all over pattern. 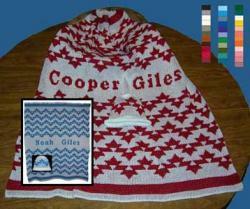 A personalized baby blanket and cap is a special keepsake for any baby. 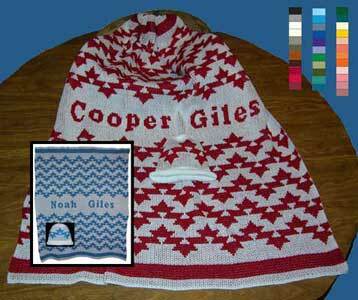 A personalized baby blanket and matching cap is a special keepsake for any baby. 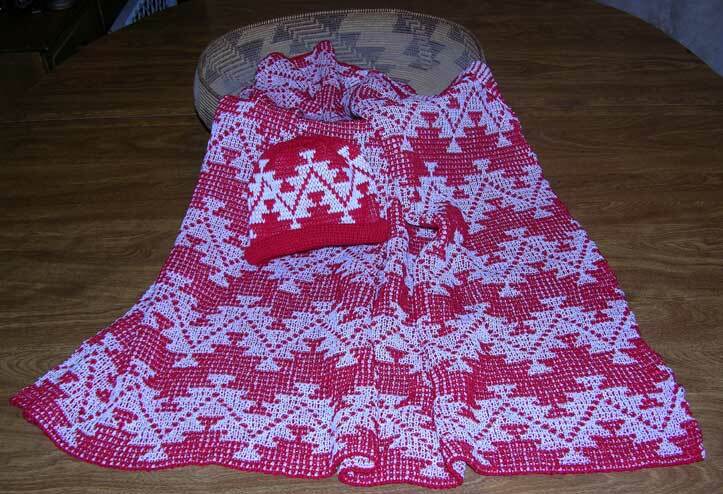 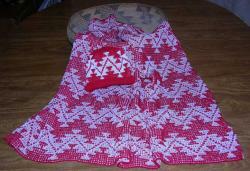 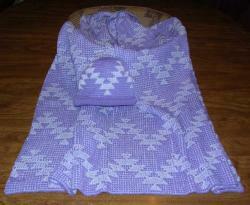 This Set is a Baby Blanket with matching Size Hat offered in Newborn or 6 Months size. Our Baby Layette consists of a blanket, cap with pom pon, and booties. 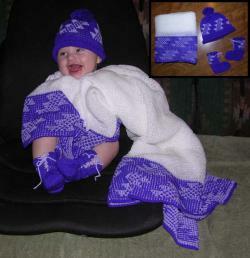 We offer the cap and booties in two sizes: newborn and 6-12 months. 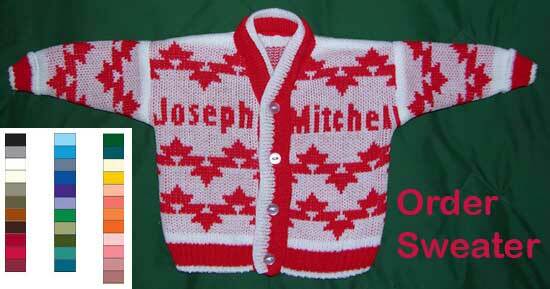 A personalized baby cardigan sweater is a special keepsake for any baby. 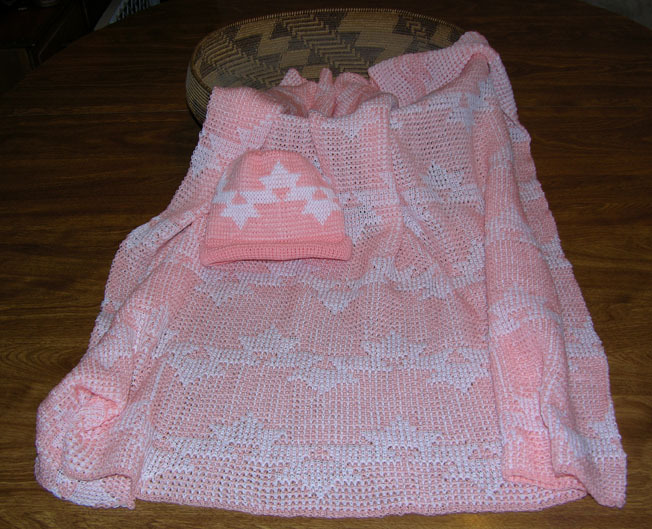 This hand loomed knit Baby Sweater features the Morning Star Native American basketry design.